When Blake Michaels's cover as a local cop is blown and a corrupt officer attempts to kill him, he's forced to go on the run. Under his protection is Holly Mathis, also a target for what she may know about her late husband's investigation into corruption on the police force. Blake can't complete his assignment without help from the beautiful widow, but getting close to a woman again is out of the question. Trapped inside the town limits by police barricades, Blake won't surrender the mission until he finds the source of the deadly drug ring that brought him here. But as he circles closer to his target, can he get his man—and save his woman—without sacrificing his own life? Excitement and danger from the very first page! Great suspense as we go on the run of their lives with the main characters. Holly Mathis lost her husband in the line of duty a year ago, and she’s just trying to exist these days as she picks up the pieces and moves on day by day. She never expects to find hidden information that will all of a sudden put her in danger, but when she does, she’s lucky that someone comes along to help her! Blake Michael is undercover as a local cop trying to bring down a rumored drug ring. 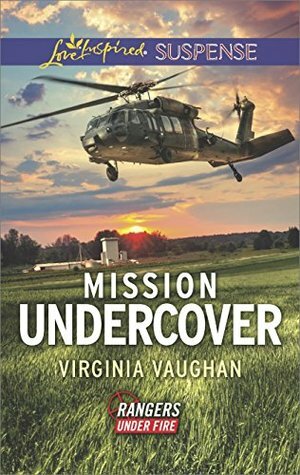 Just as his cover is blown, he sees that Holly is in danger as well and dashes in to rescue her and take her on the run with him. They are trapped in the town by barricades and must rely on each other’s quick thinking to duck and cover every time danger strikes. Will help make it to town soon enough to save them?